They serve breakfast on Sunday mornings. Fair prices and there biscuits and gravy were pretty darn good. Homemade gravy. Kids enjoyed the breakfast buffet and I had the 1/2 early bird special. Overall a success after a long camping weekend. Great job. Wednesday's are buy one burger get the second burger half off. We both ordered their olive burger with fries and they were awesome! Best burgers we've had in a while. Friendly staff also a plus. I went there for a casual Sunday morning breakfast with a friend. I found the atmosphere to be very relaxing and laid back. The waitress was very personable and helpful. Prices were reasonable and the food was very good. Just a drink or fill up at the salad dinner bar or order from the menu no matter what the needs they can be filled. The pizza selection will surely provide the special meal your looking for. 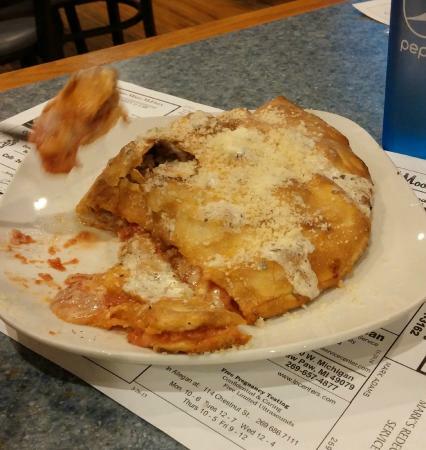 Get quick answers from Russo's Pizzeria staff and past visitors.